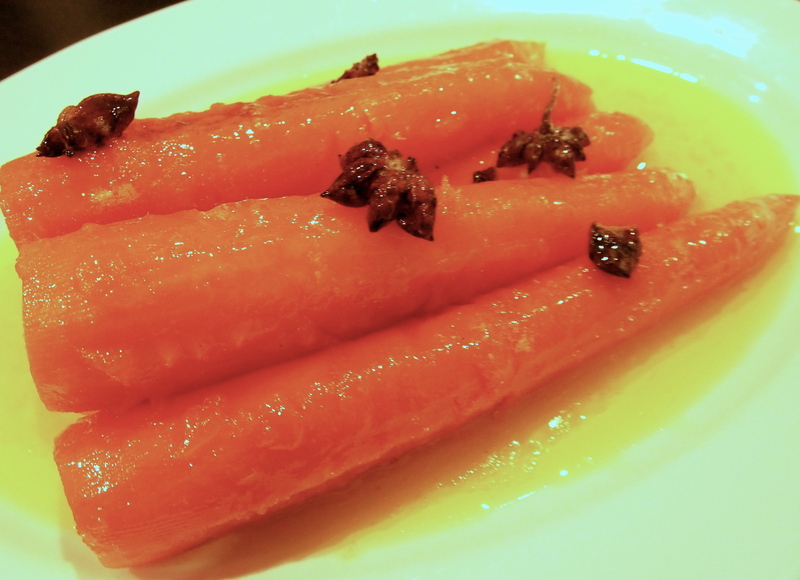 It’s hard to make a plate of carrots look enticing but believe me these are incredible tasting carrots. Tom Kerridge is a British chef who owns the Hand & Flowers pub, the only 2 Michelin starred pub in the UK. 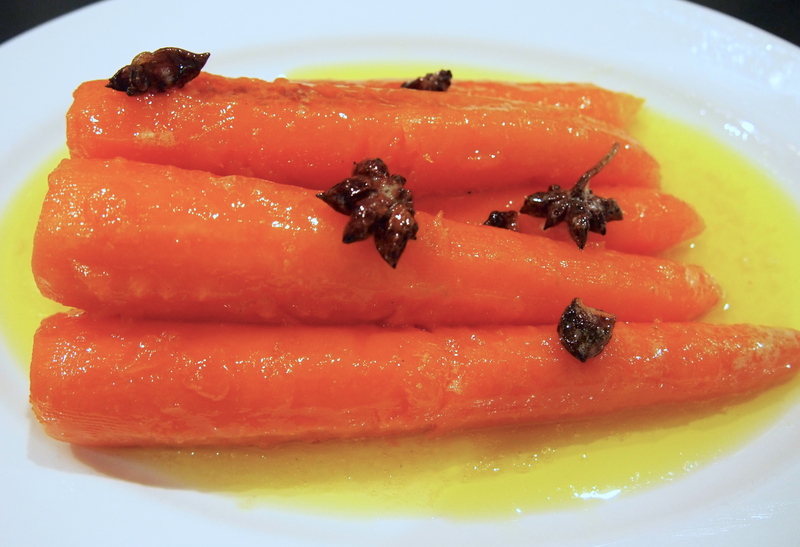 This recipe featured on one of his recent television programmes and whilst these carrots are indeed worthy of the holiday table they’re too good to keep for just once a year. These have become my go to vegetable for any roast dinner, in fact for any grilled meat or poultry, hell I’d have them on their own and make a meal of it! This dish is a little more time consuming than most side dishes with the carrots braising for a good 45 minutes in a rich, buttery, star anise flavoured sauce. The long cooking time allows the carrots to soak up all the flavour from the cooking liquid and become incredibly tender. One change I do make from the original is the amount of butter. Tom calls for a whopping 250g which I find very excessive – I cut the butter down by more than half and it’s just as good. 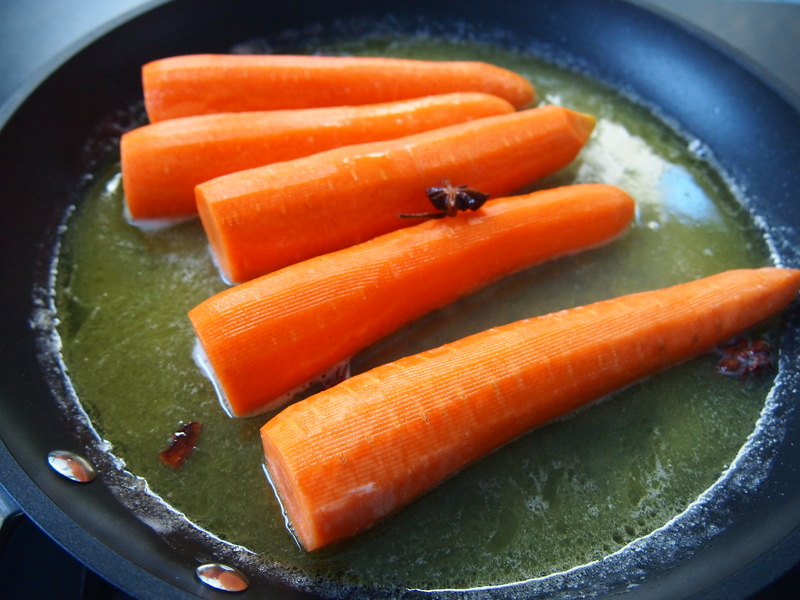 Use a clean scourer to smooth the carrots and remove any peel marks (optional). In a pan combine 300ml of water, the butter, sugar, salt and star anise. Bring to the boil, then reduce the heat to a gentle simmer and add the carrots. 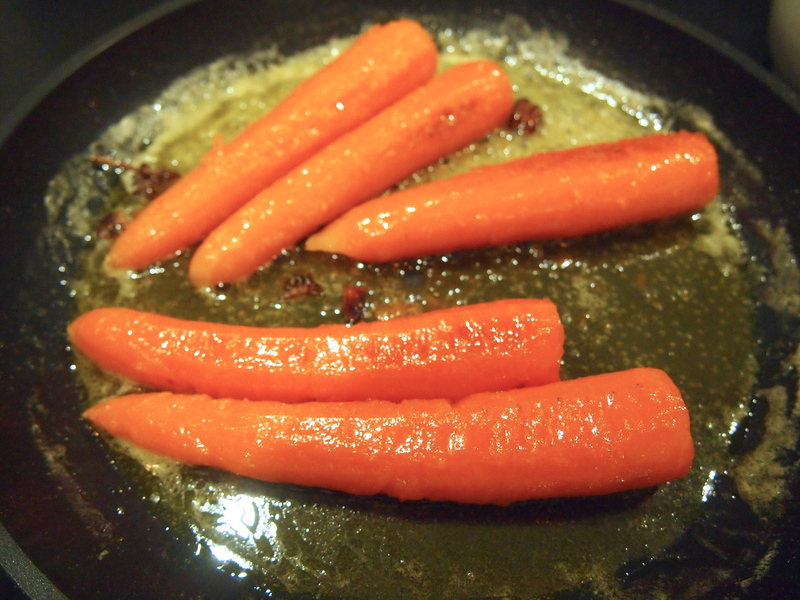 Cook until the carrots are tender (approximately 45 minutes) and the volume of liquid has reduced by half. 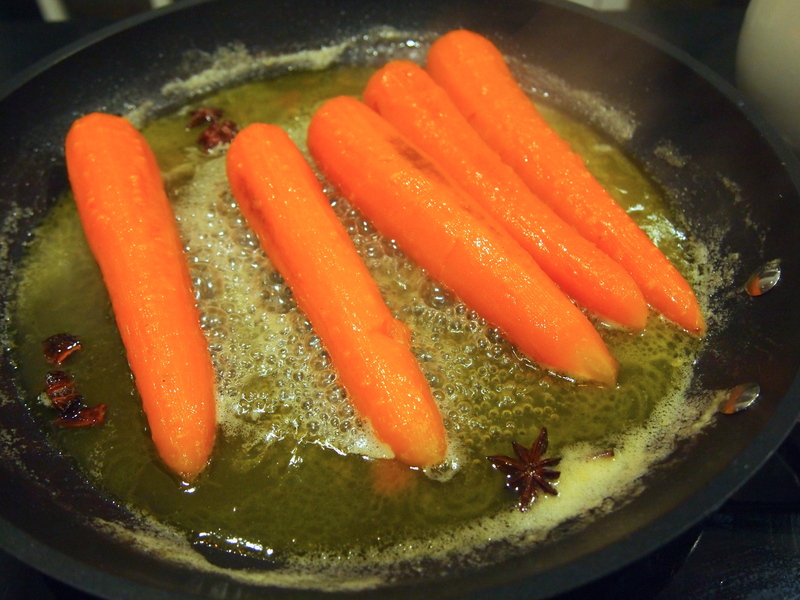 Carefully remove the carrots to a serving platter, they are very tender and can fall apart easily, and serve with the reduced cooking liquid poured over. These carrots are to die for, truly the nicest carrots I have ever had. Also tried Tom’s Celeriac, apple and blue cheese soup, again a winner, flavours are great together. Hi Loraine, thanks for the comment and I agree with you about the carrots being the best ever! I must try the celeriac soup – it sounds wonderful!